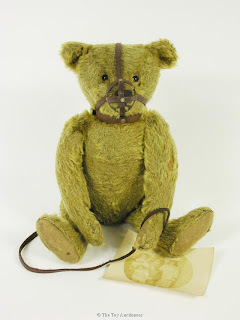 A rare muzzle Teddy Bear with photo of original owner. 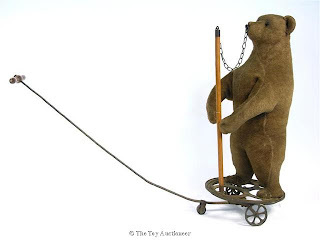 A rare and early Steiff Dancing Bear. 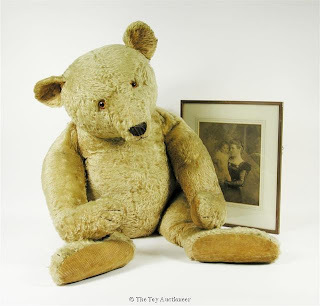 A rare large 40 inches high Steiff Teddy Bear. 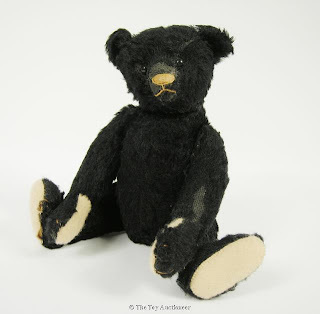 And a rare and unusual black Steiff Teddy Bear.